What’s spicy, sweet, and tangy all at once? Honey Chili Radishes! Are you on the edge about liking radishes? Then consider this pickle your gateway. 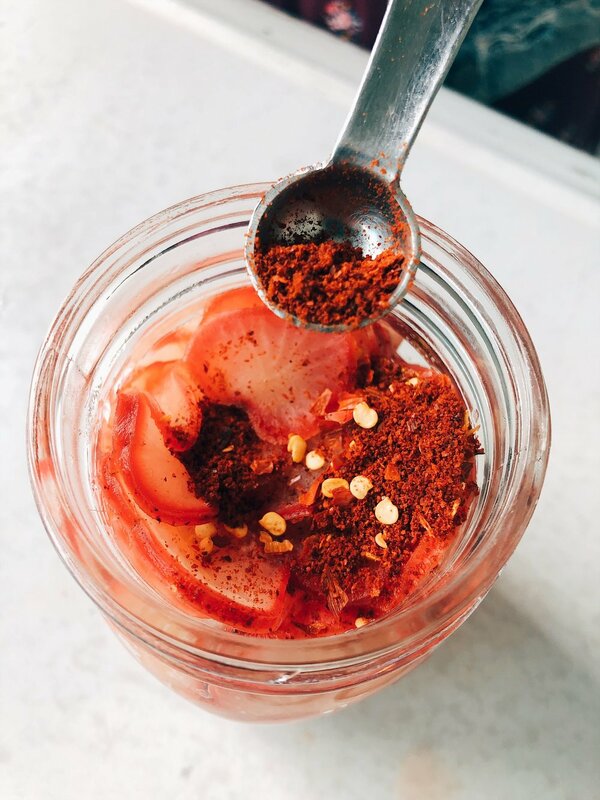 With the spiciness from the chili flakes, and the sweet zing from the brine you’ll be popping these on tacos, salads, pulled pork sandwiches, and so much more! Canning can seem so intimidating, especially if you research on Google first. But it truly is a safe, easy, and delicious way to preserve food. 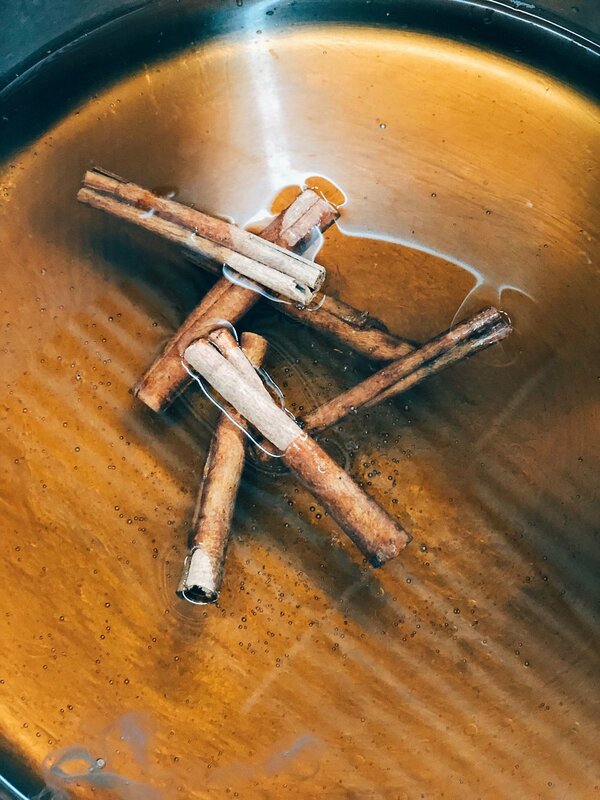 When using recipes from books and blogs you trust, like us, you can feel safe knowing the recipes are tried and true, and won’t cause illness or bad batches. We want it to be so accessible and easy for you all that we always include traditional canning instructions, AND fridge pickle instructions so that anyone can start, even if they don’t have canning supplies! 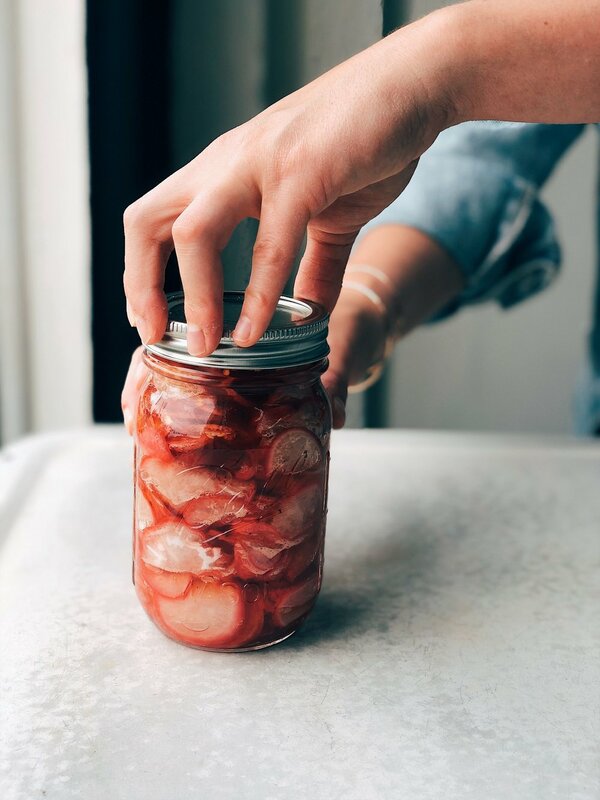 So grab a couple bunches of radishes, and let’s get to canning! 4. While waiting, prep radishes. Cut the tops and bottom roots off, and then thinly slice each radish. For a much faster process, we recommend using a mandolin. 5. 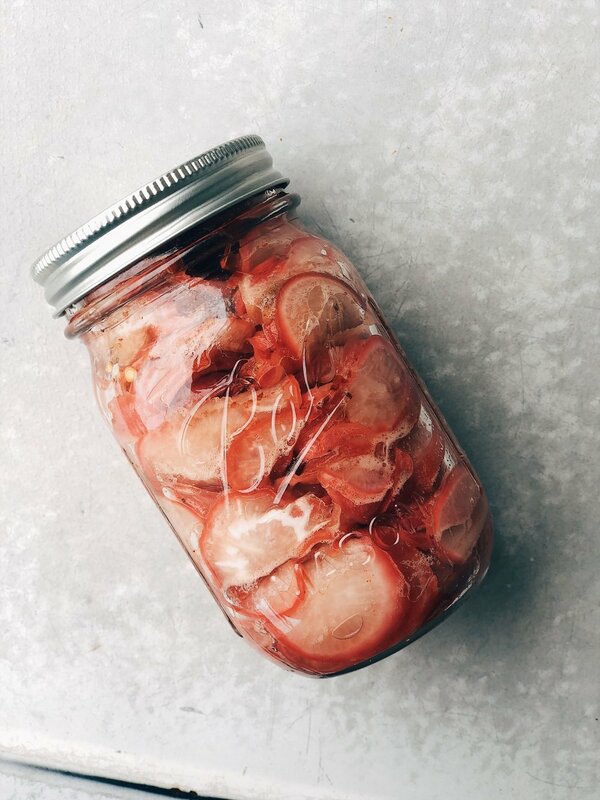 Once brine comes to a boil, add the radishes, stir, and allow them to cook in the boiling brine for 5 minutes. 6. 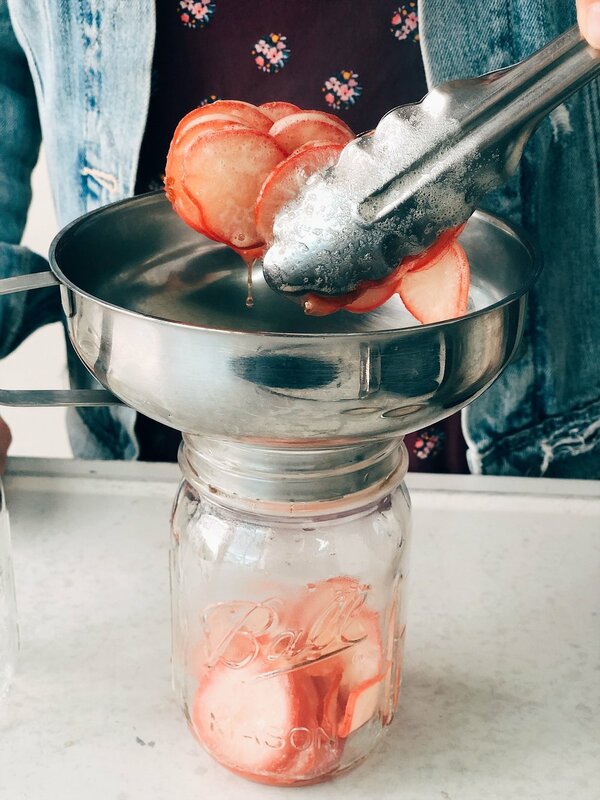 When done, place the canning funnel on your jar and use tongs to add radishes to the jar. Pack them very very tightly or they will shrink and float to the top. Once packed, ladle in brine leaving a 1 inch headspace. (1 inch headspace is the last line of the thread at the neck of the jar). 12. When your timer is up remove lid and using jar lifter take the jar out of the canner and place them onto the dish towel to cool overnight.